Materials science researcher Suveen Mathaudhu has been elected as a Fellow of ASM International. Mathaudhu was acknowledged for his "scientific leadership, management and advocacy of the U.S. Army materials research efforts, and for the development and support of new advanced lightweight materials and bulk nanostructured materials." With more than 30,000 members, ASM International serves as a central resource for educating and connecting researchers, academia, and government in the materials industry. 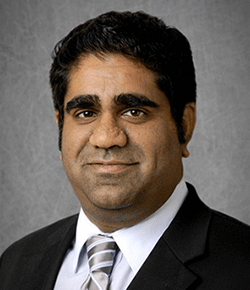 Mathaudhu joined PNNL as part of the laboratory's research initiative focusing on materials synthesis and simulation across scales. He also has a joint appointment as an assistant professor of mechanical engineering and materials science and engineering at the University of California-Riverside. Mathaudhu previously served as a program officer and materials engineer for the U.S. Army Research Laboratory, and as an adjunct professor at North Carolina State University. To learn more, read PNNL’s news release.